While there are many tools to measure academic growth, there are few that focus meaningfully on the emotional side. To lead positive change in schools, and to create an evidence-based approach to social emotional learning (SEL), metrics are key: metrics about student, teacher, and parent emotional intelligence – and assessment of the school climate as a whole. These robust tools are powerful because they blend serious science with a practical, easy-to-apply framework. For more information, please download the brochure or read about the tools on 6seconds.org. Learn the powerful Six Seconds EQ Model and Social Emotional Learning process for education. • Be able to deliver, interpret, and debrief the SEI, SEI-YV, pYV, Brain Profile assessments and the EVS school climate survey. • Develop insight on how to use the tools in your work to create an evidence-based approach to social emotional learning / EQ development. • Increase your own emotional intelligence. 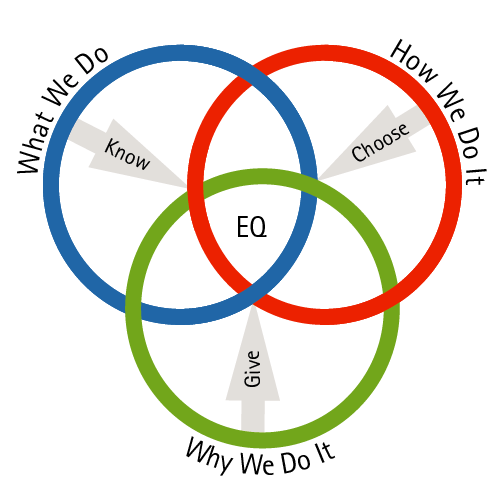 • Join the Six Seconds’ Certified Practitioner Network and associate yourself with a global leader in EQ for world with more insight, connection & purpose. • EQAC is accredited by the International Coach Federation for 33 CCEUs (Coach Continuing Education Units — 26.25 Core, 6.75 Resource). Please download the brochure for more details and the course fee. For Registration, click on the Form.